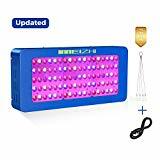 The legalization of cannabis across many states in the U.S. has prompted many people to turn to indoor growing to meet personal or commercial needs. 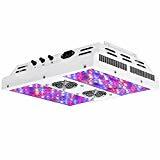 One thing that can make or break an indoor growing operation is a LED grow light. 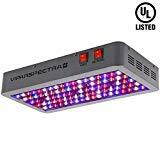 If you’re looking for a 450-watt grow light with a good power output, heavy-duty construction, excellent coverage, and a long lifespan, the VIPARSPECTRA PAR450 450W light from the Dimmable Series is more than ready to step up to the plate. It produces 210 watts per hour and has an average lifespan of 100,000 hours. 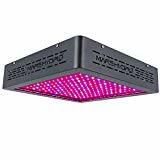 In addition, it can cover a 3.5ft x 3ft grow tent at a height of 24 inches.